puritan divine, the third son of Nicholas Byfield, was probably born before 1615. He was educated at Emmanuel College, Cambridge, and does not appear to have had any profession except the ministry, though Zachary Grey styles him ‘a broken apothecary.’ In 1642 he was chaplain to Sir Henry Cholmondeley’s regiment. On 6 July 1643 he was appointed one of the two scribes to the “Westminster Assembly, the other being Henry Roborough. Their amanuensis or assistant was John Wallis, afterwards Savilian professor of geometry. The scribes were not members of the assembly of which they kept the record, nor were they at first allowed, like the members, to wear their hats. (For a minute account of the way in which Byfield discharged the public part of his duties see Baillie’s ‘Letters and Journals,’ ii. 107 sq.) In common with the other divines the scribes were entitled to the allowance (irregularly paid) of four shillings a day. For their special trouble they received the copyright of the ‘Directory’ (ordered to be published 13 March 1645), which they sold for 400l. ; the anticipated circulation must have been large, as the selling price was threepence per copy. It was during the sitting of the assembly that Byfield obtained first the sinecure rectory, and then the vicarage of Fulham. Isaac Knight succeeded him in the rectory in 1645, and in the vicarage in 1657. At some unknown date between 1649 and 1654 Byfield received an appointment to the rectory of Collingbourn Ducis, Wiltshire, from which Christopher Prior, D.D., had been removed. Prior died in 1659, when Byfield was probably duly instituted, for he was not disturbed at the Restoration. In 1654 he was nominated one of the assistant commissioners for Wiltshire, under the ordinance of 29 June for ejecting ‘scandalous, ignorant, and insufficient ministers and schoolmasters,’ and was the most active among them. Walker gives very full details of his procedure in the case against Walter Bushnell, vicar of Box (ejected in 1656). Byfield’s assembly practice had made him as sharp as a lawyer in regard to all the catches and technical points of an examination. We hear little more about him. He died intestate in London, in the parish of St. Martin-in-the-Fields, at the end of 1660 or very beginning of 1661. His wife, Katharine, survived him, and administered to his effects on 12 Feb. 1661. 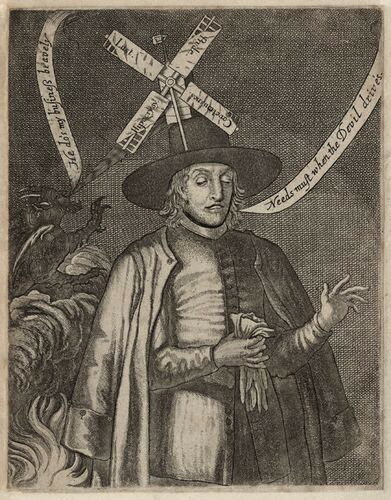 Granger describes a portrait of Byfield ‘with a windmill on his head and the devil blowing the sails.’ Butler has canonised him in ‘Hudibras’ (pt. iii. canto ii.) as a type of those zealots for presbytery whose headstrong tactics opened the way to independency. Walker has immortalised the tobacco-pipe which Byfield flourished in his satisfaction at the judgment on Bushnell. Byfield’s most important work consists of the manuscript minutes, or rather rough notes, of the debates in the assembly, which are almost entirely in his very difficult handwriting. They are preserved in Dr. Williams’s library, and were edited by Mitchell and Struthers in 1874. According to Mitchell (Westminster Assembly, pp. 409, 419), Byfield had published a catechism some years before the assembly met. 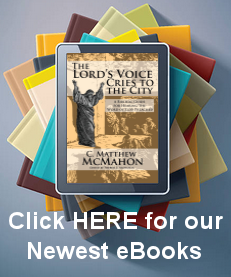 In 1626 he edited his father’s ‘Rule of Faith,’ a work on the Apostles’ Creed. To Byfield is ascribed ‘ A Brief View of Mr. Coleman his new modell of Church Government,’ 1645, 4to. He also assisted Chambers in his ‘ Apology for the Ministers of the County of Wiltshire, . . .’ 1654, 4to.